Over 40 yachts have expressed their interest in the Antigua Bermuda Race, organised by the Royal Bermuda Yacht Club in association with Antigua Sailing Week. A substantial fleet is expected from all around the world, ranging from magnificent superyachts and classic designs, to high performance multihulls, carbon fibre ocean greyhounds and production cruiser/racers. 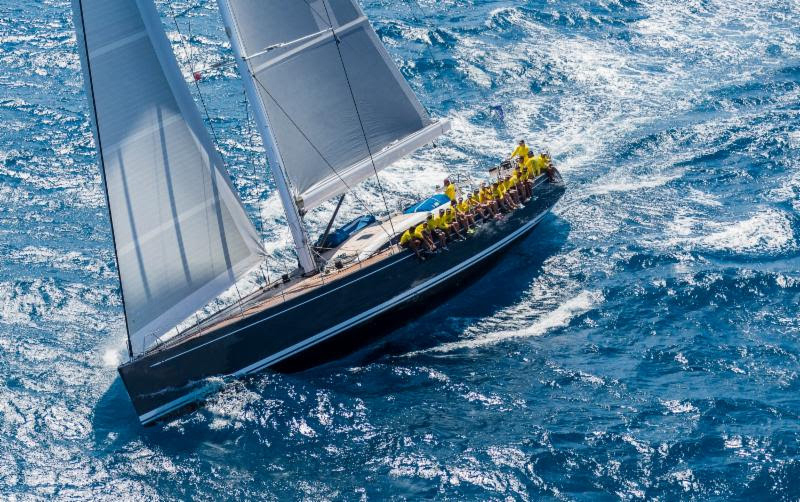 The magnificent Swan 90, Freya is already on the fast-growing list of yachts expected to compete in the race starting from Antigua on Friday 12th May, 2017 is. Since her launch in 2013, Freya has been bluewater cruising and racing at high profile inshore regattas ever since. Her skipper has been around boats from a young age and has a lifetime’s experience on the water. Jonathan Carter [also known as Joph], is from Bermuda and comes from a family steeped in sailing. He will be joined by an extremely experienced international crew, with sailors from premier round the world races in key positions, but the Antigua Bermuda Race will be a first for Freya. “We have completed this race course on delivery several times, but have yet to race to Bermuda, or race as a team offshore,” explains Carter. “While having some success with inshore racing, we want to use this as another challenge and experience for the owner and crew. Hailing from Bermuda, I have a lot of drive and motivation to bring home the silverware, plus it’s probably the fastest way to get a real Dark and Stormy! “It could be a relatively straightforward race or full of traps. The defining moment of the race will be how strong the Bermuda-Azores High is, and what weather system is coming off the East Coast. There is potential for it to be a 900-mile reach, starting in the trade winds and being lifted into the Bermuda-Azores High towards the end of the race. However, depending on what system is coming off the East Coast will be the determining factor of the race, and that could leave either no wind, or a long beat with wind out of the north. 2017 is a special year for Mathew Barker, the owner of The Blue Peter, which was launched in 1930. Like Antigua Sailing Week, the British yachtsman based in Cannes, South of France will be celebrating his 50th year. Designed by Alfred Mylne and built in Burnham-on-Crouch, the original owner extended her by 10 feet in 1938 and the wooden sloop has been exactly preserved by Barker to that configuration – right down to the deck gear. 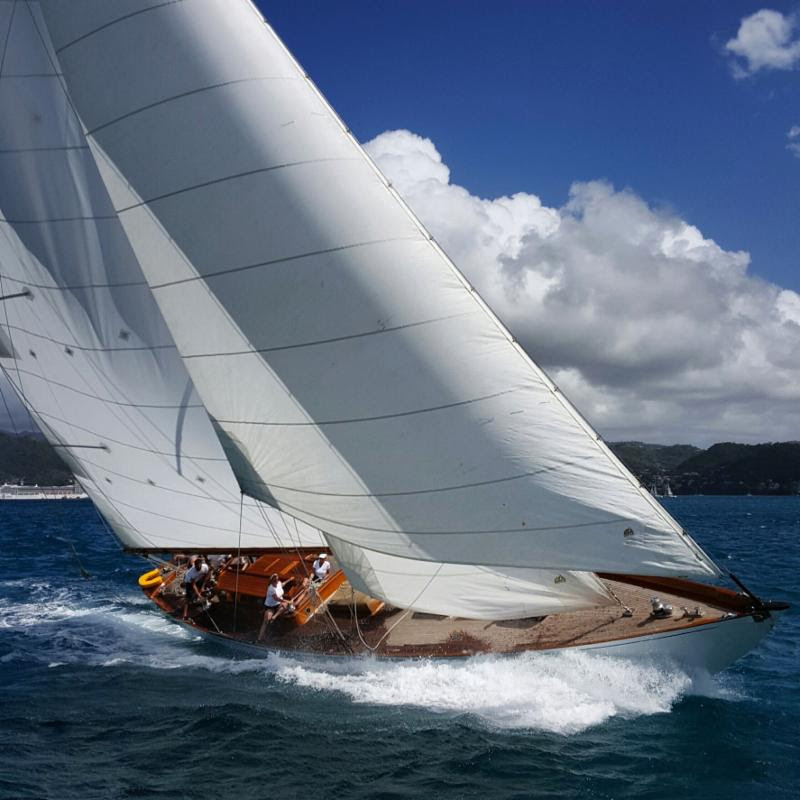 “The Blue Peter races extensively at classic regattas, has sailed across the Atlantic many times and competed in long passage races such as the RORC Caribbean 600, so she is already up to specification for the rigours of offshore racing,” explains Barker. “We often take The Blue Peter to Bermuda when we are either arriving or leaving the Caribbean. Essentially we are going that way anyway and if there is a race in the offing, then we will do it! The Antigua Bermuda Race fits in perfectly with our plans and modus operandi. Leaving Antigua in early May is always special as it is effectively the end of the Caribbean season and everyone is in party mode. “The adrenalin should be pumping at the start with an impressive fleet leaving the Caribbean. The first few miles are likely to be a good beat and then hopefully we will settle down to some nice fast-reaching to Bermuda. The Blue Peter is a very good sea boat; her high bow keeps us very dry and she is incredibly well balanced on her long keel, meaning you can steer with one finger, if you feel that way inclined. “Once we are getting near the end of the race, we will be looking forward to arriving in Bermuda. It is a very beautiful island with incredibly welcoming people. Add the extra dimension of the America’s Cup into that and it will be an amazing month!,” exclaims Barker. The Antigua Bermuda Race is open to yachts and multihulls with a minimum length of 40ft [12m] holding a valid IRC and/or CSA Rating Certificate or Superyacht rating. Dual scoring will be provided and a provision of a Motor Sailing Handicap will be overlaid for Cruiser Racers. Looks like a huge win-win all around. Hopefully this will become a regular event in the future. More brain food for Bermy. Hopefully a regular for ANU Sailing Week!